POS software training opportunities help small business retailers | Tower Blog | A blog about smart POS software for independent small businesses. 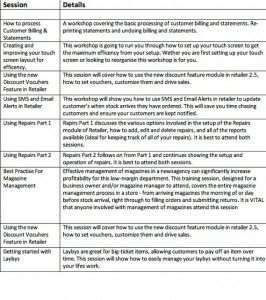 Tower Systems last week released details of its POS software user training workshop program for October 2013. The latest training workshops, delivered live and interactive through our professional Web-Ex services, is available for booking now by Tower AdvantageTM customers. By publishing the details of the training well i advance our customers can better plan their diaries. Bookings are made online through our training portal from where you can update your calendar. Our approach is another example of a much-loved point of difference from Tower Systems. 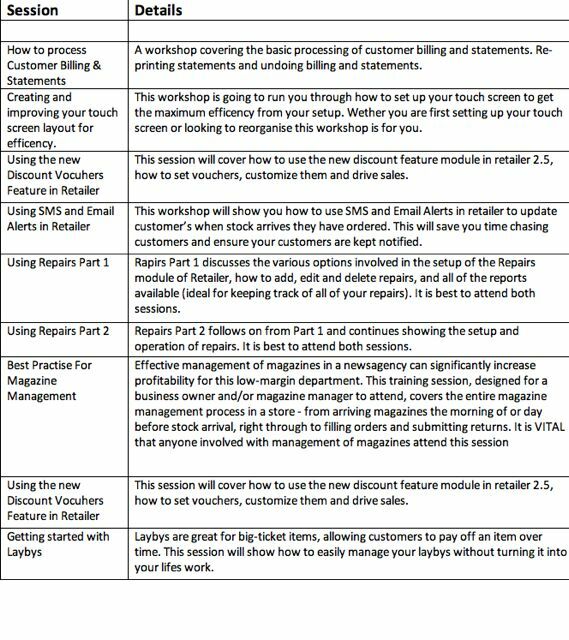 The latest training workshops cover an excellent mix of topics.